Every now and then, you get an opportunity to be a part of something great. Thanks to Elder Chrysler Dodge Jeep Ram, in Athens, Texas, we recently participated in, not one, but three successful Guinness World Record attempts. 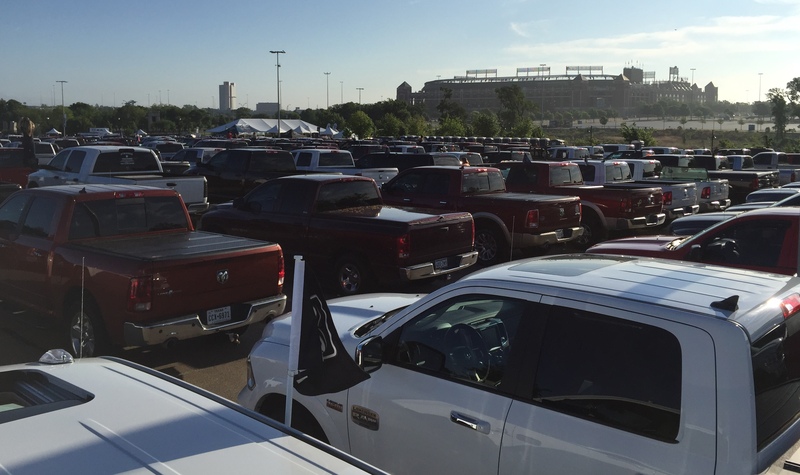 As part of the 2015 ACM Awards, Ram Trucks organized a Ram Round-up – officially dubbed the longest ever parade of trucks. To participate, you had to drive a Ram and since we haven’t bought ours yet, Hayden Elder, from Elder CDJR was kind enough to loan us his. 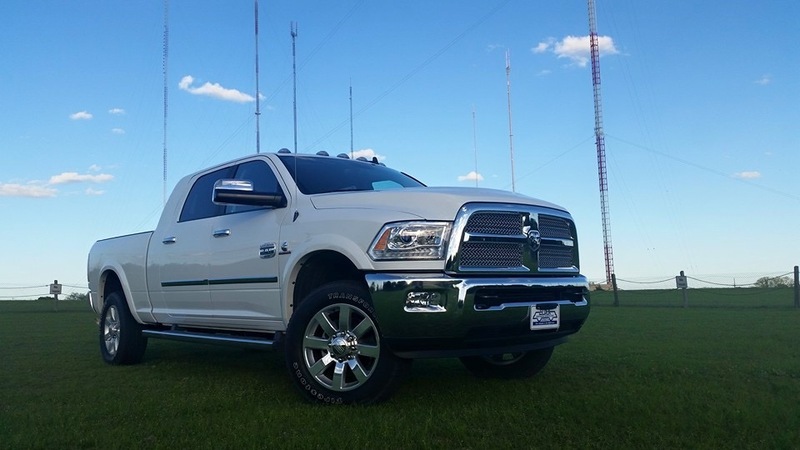 Driving a beautiful 2015 Ram 3500 Laramie Long Horn Turbo Diesel, we were one of 451 making history in the five-kilometer (or 3.1 miles – the required distance) parade of trucks. In the staging area, at 15 across, just over 30 end-to-end and ranging from old to new, the sea of Ram trucks was a sight to behold. 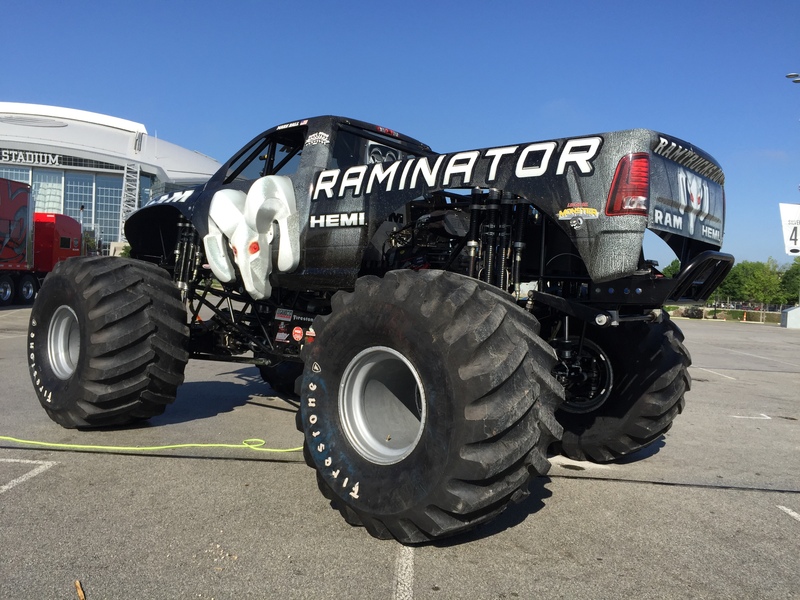 Owners talked trucks, marveled over Raminator and shook hands with Ram executives as they walked through, introducing themselves and checking out trucks along the way. Once we got started, we were approximately the 60 truck back from the lead and beginning to end, the route took us 42 minutes to complete. When we returned to the staging lot to be officially counted by Michael, the Guinness World Record representative, the final row of trucks was still waiting to leave the lot. That was incredible. To think that we were about 60 trucks into the line-up, completed a 3.1-mile circuit and there were still 15 or so trucks waiting to START when we got back was just crazy. About an hour later, Michael stood on the stage before us and announced we set the record for parade of Ram vehicles by exceeding 250. He quickly followed that with the announcement that we also broke the second, larger record of parade of pickup trucks. The previous record of 438 and was set in Vale, Oregon, just last year. The Ram Round-up was a small part of the ongoing festivities that took place, leading up to the ACM Awards on Sunday evening, but for me it was the most memorable, filled with great people driving great trucks. I mentioned at the beginning that we were fortunate enough to participate in the breaking of three Guinness World Records. Of course there were the aforementioned two records set at the Ram Round-up. As if that wasn’t enough, we wrapped up the weekend by attending the ACMs and were two of the 70,000 attendees that helped set a Guinness World Record for most attended live awards show. Congratulations to Ram and all the ACM winners and a big thanks to Hayden Elder and Elder CDJR for making it possible for us to be a part of it all.